This league is currently in progress and is scheduled to end on March 06, 2018. 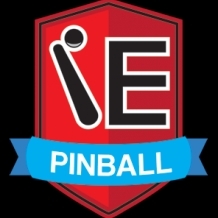 The Inland Empire Pinball Association hosts a weekly pinball league Tuesdays @ 7pm at Lake Alice Trading Co. in Riverside, CA. Each week members are placed into groups of 4 (sometimes 3) to compete match-play style on 5 different machines. Points are awarded to each player dependent upon their placement. The last week for the season consists of finals matches where the top 8 (or 12) "A" division players and the top 8 "B" division players battle for prizes! Members are expected to be able to attend an entire season and must join at the beginning of the season. Unfortunately new members may not join mid-season due to our league structure.